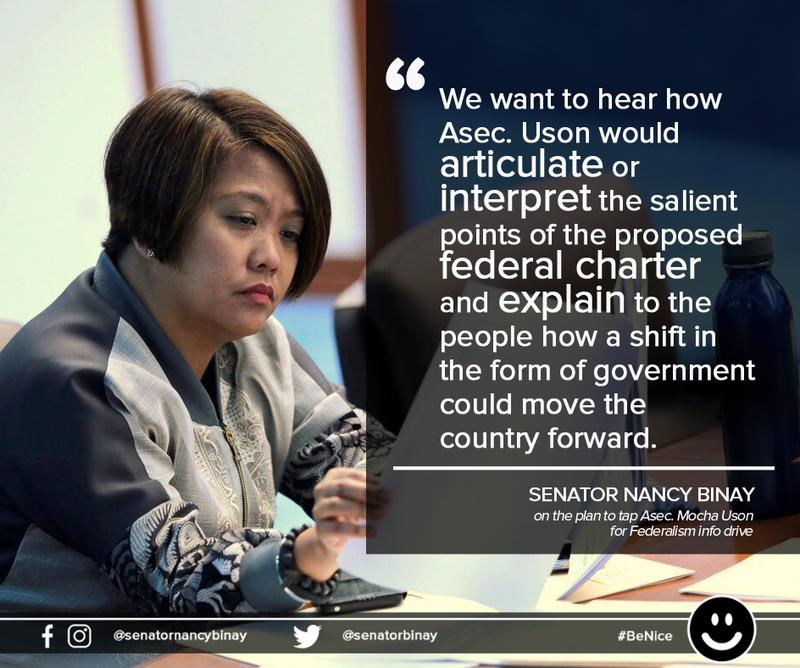 Senator Nancy Binay suggested that Asec. Mocha Uson should be invited on the Cha-cha, Federalism Hearing. Binay stated that they would want to hear how Uson would interpret the points of the proposed on Federal Charter and explain the effects of the shift. 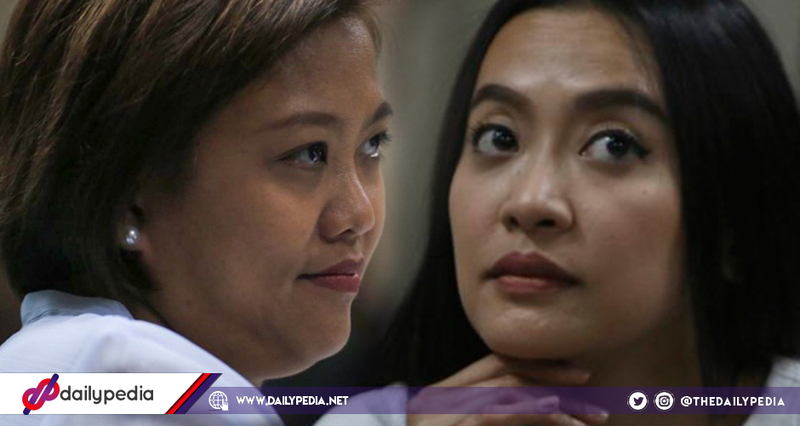 After the Consultative Committee (Concom), tapped PCOO Assistant Secretary Mocha Uson to help with the information drive for Federalism, Senator Nancy Binay recommended to Senate Committee on Constitutional Amendments chair Senator Francis ‘Kiko’ Pangilinan, to invite Uson to the next hearing for the charter change proposals. The woman senator is curious about how Uson will actually explain the Federal system. In a statement, the woman senator said that it may be better to have Pangilinan invite Uson as a resource person to represent the senate. “In light of the plan of DILG and the Consultative Committee to have Asec Mocha Uson as the lead evangelist of the Federalism Caravan, siguro mas maganda kung mai-invite ni Sen. Kiko si Asec Mocha as one of the resource persons sa kanyang committee para mag-present sa Senado. Senator Binay emphasized the importance of how the messenger relays the message. The person should be able to provide the options and let them know the pros and cons of the government system change. Binay added that it would be best if Uson could present the content of her campaign on Federalism, as well as the plan to change the 1987 Constitution, to the senate. Uson would be using part of the Php90 million budget by the Department of the Interior and Local Government and Concom for the information campaign.